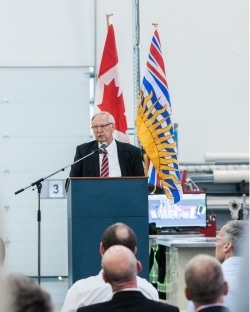 New Technology Centre Opens – NORAM Engineering and Constructors Ltd.
BC Research Inc., a subsidiary of NORAM, officially inaugurated its Technology Commercialization and Innovation Centre today, with funding announcements from both the federal and provincial governments in support of the Carbon Capture and Conversion Institute (CCCI) pilot laboratory, which has co-located at the new facility. The purpose-built facility provides state-of-the-art pilot infrastructure for the evaluation and scaling up of process technologies. Its unique capabilities have made it a nexus for industry and academia to collaborate in taking some of these cutting-edge innovations forward into the market place. 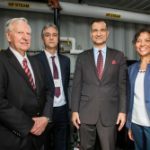 The CCCI, a collaborative partnership between CMC Research Institutes and BC Research, is focused on mitigating the impacts of climate change by reducing greenhouse gas emissions from industrial sources. At the Institute, experts work with clients to develop technologies that will cost-effectively capture carbon and convert it into value-added products.